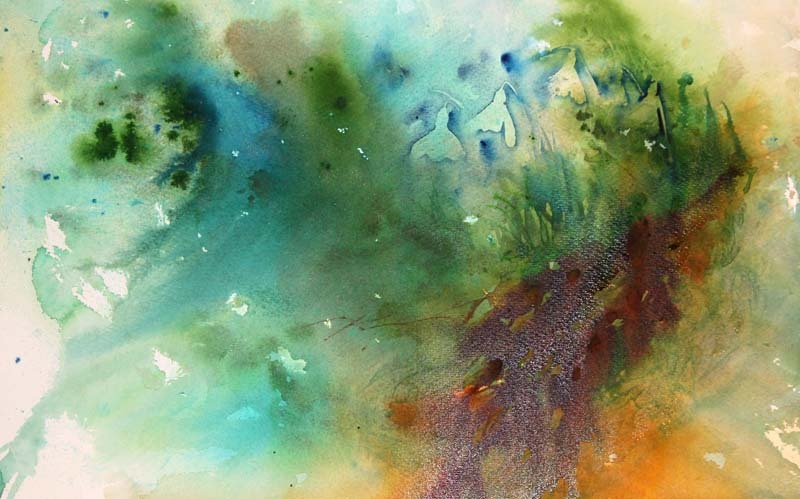 A passion for life,nature and watercolour shared in harmony throughout the seasons. Snowdrops forming created by using a negative edge technique to place the flowers on an initial first wash. A work in progress, first stages of a painting. We can't always have what we want, when we want it. And so we need to learn to adapt , wait patiently and enjoy whatever it was we yearned for when it finally arrives, if it ever does. In my case at the moment my wish is to see snowdrops in my garden before I leave for USA and my next workshops there at the end of this month. It isn't a huge wish. It isn't incredibly important. But to me it would mean the world if they could just bloom now. I love painting from life and I want to paint them in my garden in their natural settings. But as they are not appearing just yet I am having to use a collection of my own photographs, past paintings and my imagination to work from to create. Which probably isn't a bad thing because this way my colour choices and techniques to act as backgrounds will probably be far more innovative. As seen above in a close up of my latest snowdrop painting. I started today by painting on fresh white paper. Two beautiful clean washes emerged with white space to add my snowdrops. They looked......... actually they look perfect but something is missing from them. A sense of excitement I feel. They look almost wooden and pre sketched with absolutely no movement. I looked at them on my easel, these first snowdrop paintings and considered all that I didn't like about them. They could easily be replicated. They looked preplanned to the point of being dull. I'd left no room for spontaneous additions of further flowers. They actually looked "predictable" in that millions of exact same paintings could be around all over the universe. Which led me to look at a few exciting washes I had already that had not been paintedon, to act as backgrounds, and I found one that was perfect for this adventure in creating. Now my heart was beating familiarly. I was excited at what could happen next. I easily saw where my first snowdrop flowers could be placed on the wash and then I sensed the familiar oak leaves at their base from my garden scenes last year. There is movement, life and positive energy in this piece and hints of the cold weather that is here in UK at this time of year. I can't wait to work further on this piece. It is far more enjoyable and it really has been inspired by my reading my own book " Atmospheric Flowers in Watercolour" . In this flower book I offer ideas on how to create white subjects and how to make your flower paintings more interesting. I listened to my words in the book and painted from my heart which now feels far more alive! Below you can see the whole painting as a work in progress so far. Do you feel your work is becoming predictable? As in are you painting the same subjects in exactly the same way with the same techniques and colours each day? If it is, are you happy? If not how are you going to change your art? It is a new year. 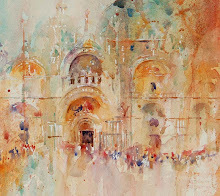 Now is the time to really go for gold if you want to have fun and feel stimulated when you paint. Which in turn should lead you to fabulous unique results. So here is a challenge. Look back to something you painted last year and paint it now in a completely different way using new colours and techniques. Then compare the two paintings and see which you prefer! Stretch yourself and find the inner artist that may be lurking screaming to get out! 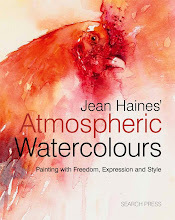 "Jean Haines World of Watercolour" an exciting new book filled with inspirational demonstrations, launched in May 2015. .
"Atmospheric Watercolours" Jeans' popular book was launched in May 2012. An International Best seller, it is available from Amazon.com and various other stockists worldwide. "The book is nothing less than a paean to the wet in wet technique. If that's your thing, prepare to be amazed. 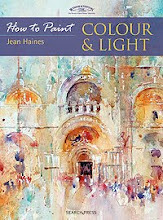 Jean Haines credits Jean Louis Morelle, and in many ways this book is the sequel to Morelle's remarkable, but very technical work, showing the wealth of creative possibilities the technique offers. A lot of the images are barely recognisable and yet you instinctively know what they are. I wish I knew how, because this is impressionism taken to its logical conclusion and reminiscent of some of the later work by JMW Turner. 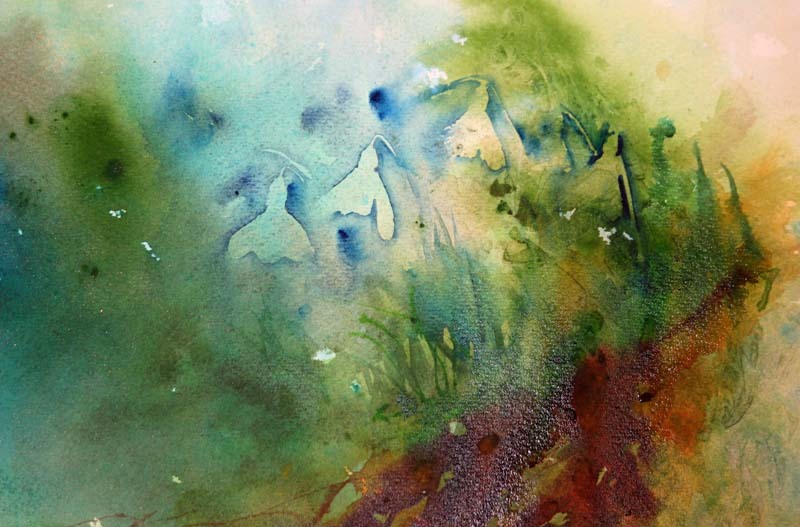 You will have to take it from me that "First signs of a face appearing magically from a first wash of watercolour" is pure alchemy. This is an extraordinary book." 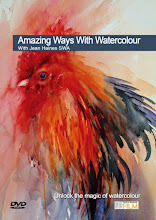 "Amazing Ways With Watercolour:" Fastest Selling DVD! "Amazing Ways With Watercolour" from Town House Films is the fastest selling DVD with the company to date! Record breaking pre-orders for this much awaited film saw requests for copies flooding in from all over the world. 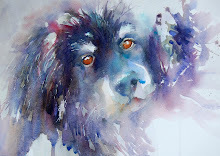 A wonderful introduction into working with watercolour minus the use of a preliminary sketch this DVD removes the fear, stress or pressure from worry about how to use watercolour. Instead the focus is on having fun, enjoying vibrant colour combinations and allowing the medium to create the subjects with just a little help from the artist. A really exciting new DVD to own. Whilst the DVD sold out in the first few months since its' release due to popularity it is now in stock and available directly from Town House Films. 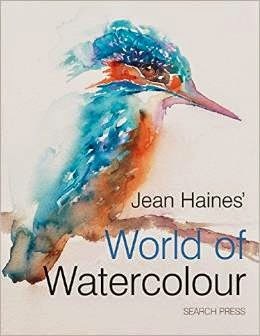 "How to Paint Colour and Light in Watercolour" Jeans first book was launched at the Mall Galleries in 2010 at the SWA Society for Women Artists Annual Exhibition. Many copies have been sold world wide. It is available on Amazon.com, Search Press, SAA Society for All Artists and Ken Bromley. 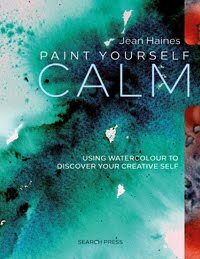 "This book is a wonderful introduction into Jeans' way of working and gives an insight into her way of thinking and approach to a large variety of subjects. All painted minus the use of a preliminary sketch." Please note that all photographs and artwork in this blog are copyright of the artist and are not to be copied in any form without permission. Filming "Amazing Ways With Watercolour" in Norwich with Town House Films. This new exciting DVD will be available from 31st March 2011. 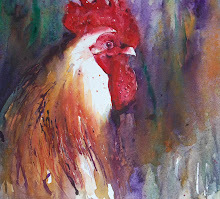 Elected an Associate Member in 2009 Jean was presented with the Anthony J Lester Art Critic Award for " Morning Calls", a vibrant painting of a cockerel from a watercolour collection in the SWA Annual Exhibition 2009. 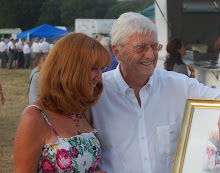 Jean was elected a full member of the SWA in 2010 with an "outstanding body of work". 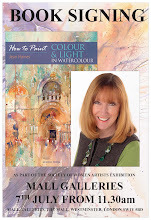 Jean has regularly written for leading art magazines including Master Class features in the Artist and Illustrator and currently "The Artist" magazine. We can't see love but we all know it exists.